A few months ago, we asked each of the TAP teachers to pick their favorite picture from a TAP trip. Now that’s not easy, because some of the teachers have been on five, six, or seven trips. Each of our adventures is around twelve days longs, so most of us take hundreds and hundreds of photographs each time we go someplace. Some of those pictures are cool moments with our students. Some of them are incredible scenery. Some of iconic landmarks. Some are artsy-fartsy shots that capture a moment on the trip. Miss Lara took that assignment very seriously, but she couldn’t pick just one picture from the five trips she’s been on with TAP. Instead, she chose to share one pic from each trip. She did a pretty good job of representing cool moments with students, incredible scenery, iconic landmarks, and even a bit of artsy-fartsy. This list goes on. Do you understand what I’m trying to say? Now, one photo from each trip doesn’t do it justice, but you’ll get the idea. Overwhelming, exciting, fun, crazy! In the end, best trips ever with the best kids ever! Keep Calm and Carry On. This picture is the epitome of London and it makes me smile. 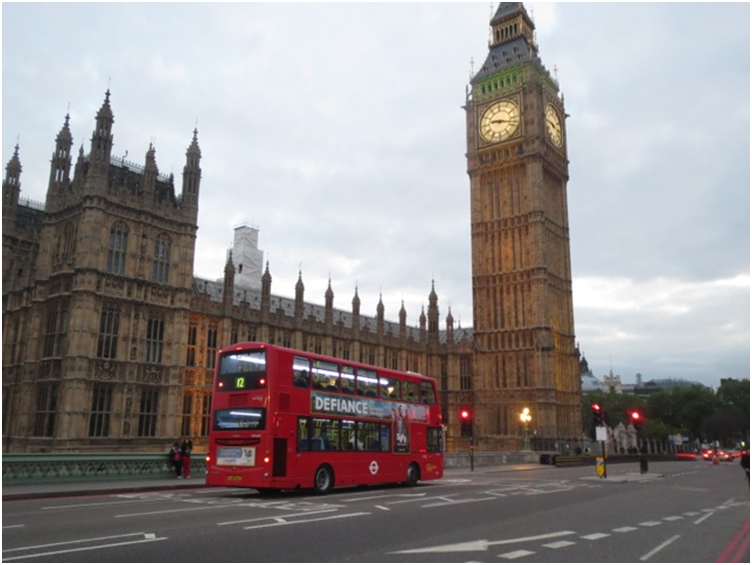 The iconic red double-decker bus with London’s clock Big Ben/Clock Tower in the background. This photo was taken in the city of Hiroshima in Japan. 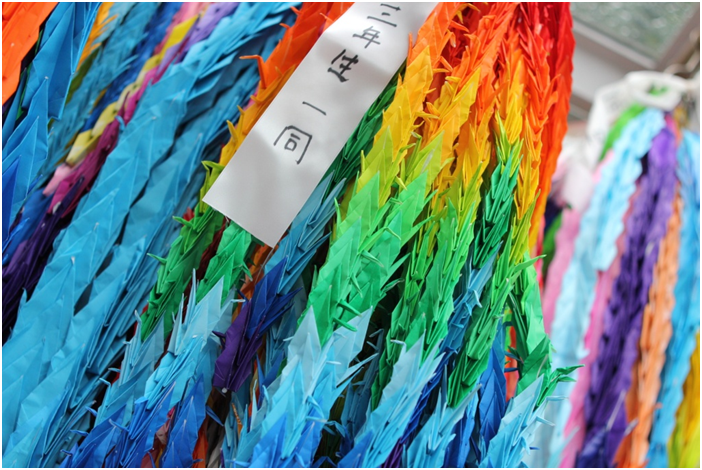 At Peace Memorial Park, you see brightly colored paper cranes everywhere folded by people all over the world as a wish for peace. Words can’t describe the feeling that comes over you when you walk into this park and see the memorials and the atomic bomb dome. Unreal. 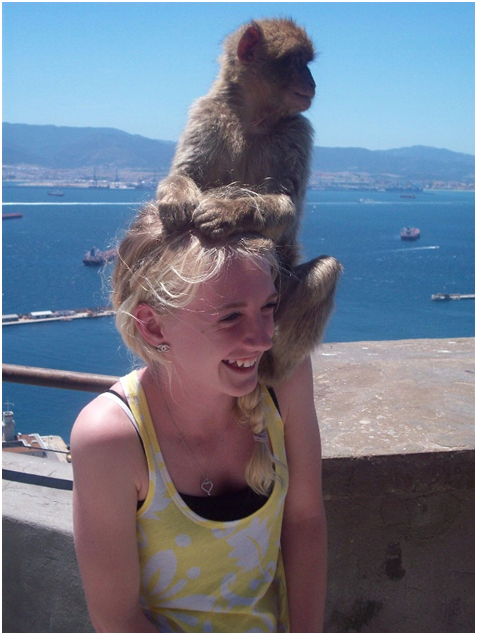 This photo was taken on TAP’s Spain/Portugal trip; however, this picture was taken in Gibraltar. I think this took all TAP travelers by surprise – this isn’t a pet or a trained animal, that’s a wild ape. This doesn’t even happen at the zoo! Needless to say this trip had a ton of bizarre experiences! 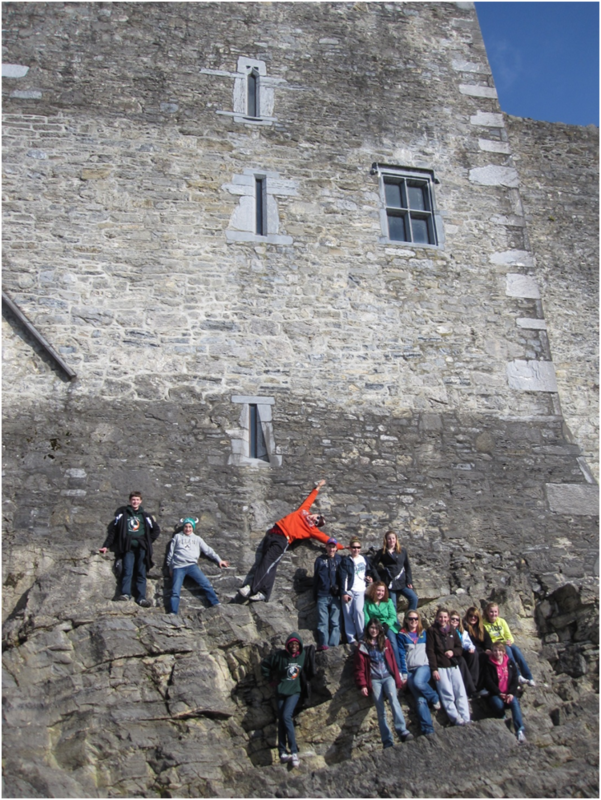 This is one of favorite pictures from Ireland. It pretty much sums up the trip – fun! Where else would you get to climb up the side of a castle and have a photo shoot!?!? There’s nothing like sneaking a photo when it is forbidden in one of the best known chapel in the Vatican City (that’s why it’s a bit blurry). 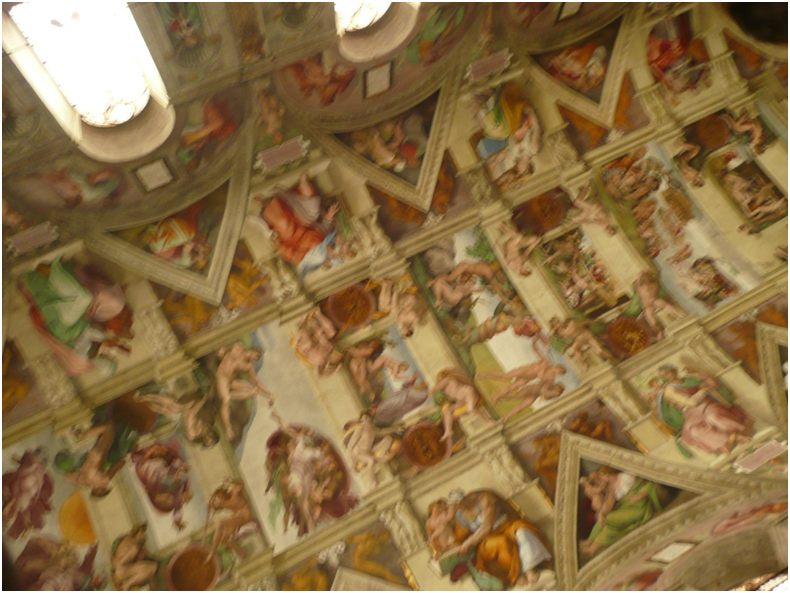 This picture does not do the celling of the Sistine Chapel justice. Can you imagine Michelangelo spending four years painting this work of art? ← Did I Ever Tell You About the Time We Accidentally Went to London??? I love how each picture has a story behind it and I hope my pictures turn out like that so I can show my family. Riley’s is the best though! You’re right. Every picture has a story. Now think about the fact that each of us takes 800+ pictures on each trip. Imagine all those stories you’re going to have soon. I am going to look a pictures differently for the rest of my life now. How are you going to look at them now?